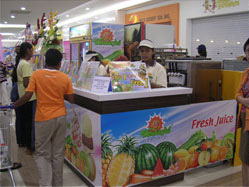 In Malaysia. 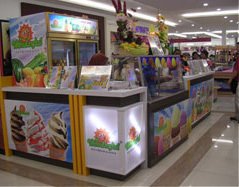 We can help you to set up anywhere, provide equipments, supports, trainings and sell you ingredients at great prices. 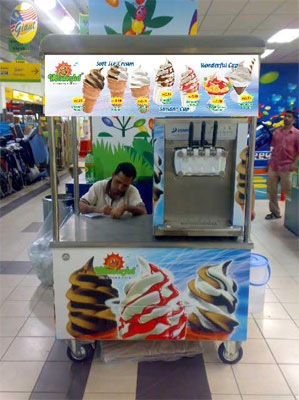 The counter or kiosk with soft serve and 6.0 liter grand ice cream can be placed for distribution to end consumers via mega-malls, food courts and etc.